Man, this trailer has got me all kinds of excited. Housemarque is looking to deliver a classic twin stick neon cyber fever dream explosion. Just pre-ordered it on PS4. So I've been playing this game a lot. It's competing with Nier for my current obsession and Mass Effect isn't even out yet. What is most striking is the originality of the world. It isn't just a future with robot dinosaurs. Which, in and of itself, would have been cool. But's it's the whole setting around it. Humanity reverted to its tribal roots. A untamed land with plenty of biological wildlife and rugged terrain. The setting truly is the star here. And it makes the excellent gameplay set in it even more joyous. 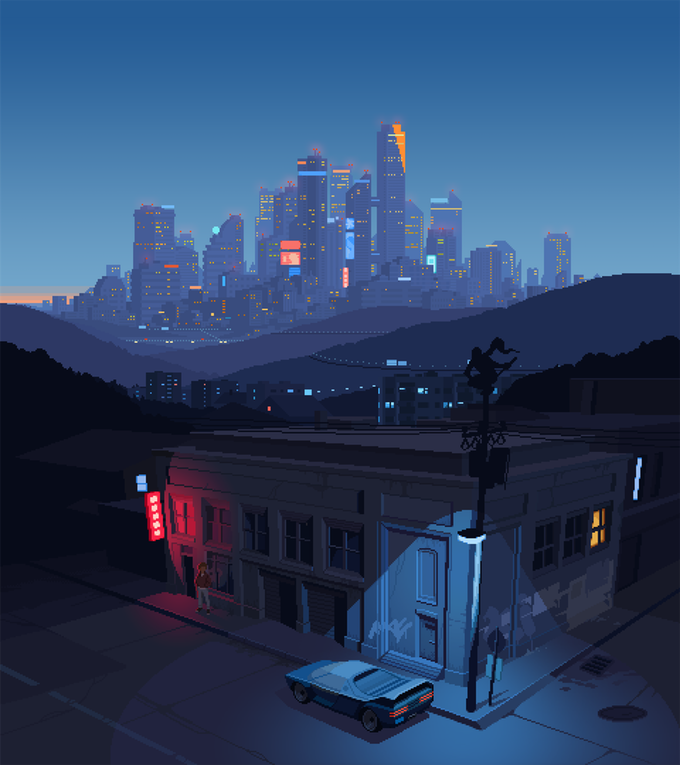 Welcome to The Last Night, touted as a pixel art cyberpunk open world adventure game in the vein of Flashback and Out of this World. Looking at these screens it looks amazing! Their company, Odd Tales, is busy developing the game with progress updates being posted to both the website and their respective twitter feeds. I for one can't wait till this comes out with the only question being wether i'd get it on consoles or PC.